Alaska. “The Last Frontier” is a fitting slogan for this great land. The rugged terrain and harsh winters make an environment that only the bravest inhabitants can stand. Here, one of the latest surveying battles is being fought; not between land owners, but within the professional surveying community itself and pitting technology against historical tradition. The United States agreed to purchase Alaska from Russia in 1867 for $7.2 million dollars, or about two cents an acre. In 1959, Alaska, with a land mass larger than Texas, California and Montana combined, became the 49th state in the union. For the professional surveyor, more than 20 million acres of federal government land is scheduled to be measured and divided for conveyance to the state for eventual sale to private individuals. establishing coordinate values at corners instead of setting monuments. GNSS and potential issues with atmospheric interference and lack of satellite coverage. We will discuss the challenges ahead for the future of surveying in Alaska and how it will affect parcel division. While it is too soon to know whether or not this will bottleneck sales of parcels to new landowners, it does bring many technical and procedural questions for surveyors to the forefront. From the early days of our new nation, surveyors from the Bureau of Land Management (BLM) followed long standing procedures and placed retraceable monuments at various intervals along township boundaries for tract establishment, with two mile intervals being the predominant length for parcels in Alaska. The position of these monuments are held by subsequent surveyors to retrace these tracts for the state or individual owners. During the course of the original field surveys, crews tasked with establishment of the new corners will note natural and artificial features for reference to these new parcel lines. These features may be trees or forestry lines, streams and rivers, mountains or glaciers. Because of these environmental challenges, these surveys take a great deal of time and effort to traverse through the difficult Alaskan wilderness. However, the physical act of performing the survey is the only way to establish accurate ties to features found along the way. Surveyors will establish permanent markers at the chosen intervals along the township lines with measurements to nearby features for future retracement. Once placed, the monument becomes a corner for the township parcel and its position holds over any distance or angular measurement to other monuments or reference ties. Performing these surveys is very costly and takes a great deal of time, so finding ways to reduce the budgetary expenditure for this task has been a priority for the BLM. Modern equipment and technology has improved efficiency and cut down on some necessary manpower, but it still takes a significant number of people to traverse through the dense areas of Alaska. Implementation Direction: When preparing official surveys for areas of land selected by the State of Alaska pursuant to the Alaska Statehood Act, exterior boundaries of the selection area will be shown on the official plat by combinations of dependent resurvey, incorporation of record surveys where closure is met, and original survey. For original surveys, all angle points along the exterior boundary of the selection area shall be marked on the ground with a physical monument and shown on the official plat by reported coordinate and reference relationship to the NSRS datum and existing control stations. When deemed appropriate and directed in the Survey Special Instructions, other corner positions along, or internal to, the exterior boundary of the selection area can be reported and fixed by measure using reported coordinate and reference relationship to the NSRS datum and existing control stations and other marked corners of the survey with reported coordinates on the official survey plat. For surveys conducted using DPPS methods, if a corner is not marked with a physical monument, the geographic coordinate reported on the official survey record as fixing the corner location shall be accepted as the only evidence of the original corner position. For corners marked with a physical monument, the geographic coordinates reported on the official survey record shall be accepted as collateral evidence of the original corner position; the actual monumented location will remain the best evidence of the original corner position. Ease of unofficial location of boundaries on the ground by using satellite positioning in mobile devices for groups like miners, oil and gas lessees, recreational users, prospective land owners, etc. A clear plan for future surveys that will allow efficient procedures for private land surveyors. Reduced boundary uncertainty and costs due to monument destruction or disturbance. Compatible and accurate boundary framework for GIS and other geospatial databases. DPPS methods generate a greater certainty of comer positions and they are correct, consistent and repeatable. DPPS methods introduce an economy of resources in the future for leaseholders and landowners when additional parcel boundary demarcation is required because geographic coordinates referenced to a known national datum are directly reported on the survey record and do not need to be calculated from the legacy measurement of bearings and distances. Adoption of DPPS methods avoids spending substantial funds on unnecessary procedures like recovery, maintenance and rehabilitation of physical monuments in future survey work. Surveys conducted using DPPS methods can be completed much more quickly than surveys completed using historical methods, thereby facilitating quicker patent to the State. Coordinates have historically always been the last resort for corner positioning and/or retracement use, yet the BLM feels that GNSS measurements have increased in reliability to a place where they can be more heavily relied upon for establishment of section corners and other significant points. This is where the second issue comes to light: positional accuracies using satellite-based measuring devices at high latitudes. For most of us “regular” surveyors in lower latitudes, our GPS/GLONASS measuring equipment operates with little to no trouble. Newer receivers are taking advantage of not only the U.S. and Russian satellites, but will eventually use the European Union Galileo satellites, China’s BeiDou, the Japanese QZSS and India’s IRNSS. Once these additional systems are operational, achievable accuracies worldwide will increase dramatically but we are still several years off. The issues GNSS users in higher latitudes face are not only lack of satellite coverage, but several factors of environmental interference within the atmosphere. The result of these conditions and hazards are scintillation, positioning errors and cycle slips. These are very difficult to predict, thus increasing data-collection time and efforts to catch potential errors. Scintillation occurs when rapid changes in amplitude and phase are observed and directly impacts the signal from the GNSS. Solar radio storms (caused by coronal mass ejection), large- and small-scale ionospheric structures (causing unpredictable values in environmental electrons) and geomagnetic activity (aurora) are also factors that affect signal, create cycle slips, and thus deteriorate the positional accuracy. Studies performed by several technical teams (including NOAA/NGS) have shown that variations in position occurs often at CORS stations with little or no warning. Ongoing studies are helping to establish potential patterns in the atmospheric intruders, but will require much more analysis. Some of these issues will be solved with more satellite coverage from the pending systems, but it will also require additional monitoring equipment to help forecast when potential environmental factors are about to occur. These systems will take time and money to develop, and thus increase the budgetary requirement for a new surveying procedure that was planned to save time and money. But what does this all mean? From the historical side, placing monuments only at perimeter corners and not at township and section corners will place an extraordinary burden on future surveyors to “follow in the footsteps” of the original surveyor. This flies directly against the duty of the retracement surveyor, so that alone will be a challenge. Studies have shown the instability of GNSS-derived accuracies as performed by highly trained scientists who are well educated at atmospheric recognition. Pairing a revised retracement procedure with providing GNSS-derived coordinate values with potentially faulty data instead of placing monuments is a recipe for disaster. The biggest issue for most surveyors with implementation of the DPPS method will be for other jurisdictions to follow suit. The main priority of the surveyor is to protect the public. Making a change to allow coordinates to become acceptable evidence will lead to many more boundary disputes and court cases. Too often I hear that one surveyor thinks his coordinates are better than the next (myself included), yet we are dependent on what the receiver gets and the software calculates. The surveyor tends to believe that GPS is “our” measuring device, and we have exclusive knowledge of its use and application, but we would be hard pressed to tell the client exactly what the equipment does to determine position and distance. A general understanding of your measuring tools is necessary, but it still comes back to knowledge of boundary law and the principles of how to apply them. While I applaud the BLM for proposing a new procedure to help reduce costs for new original surveys in Alaska, I’m also afraid of the residual effect everywhere else as it establishes a new precedent. So in the meantime, let the surveyors keep setting monuments and we will revisit the coordinate standard another day. And to quote the surveyor’s favorite geodesist, David Doyle: “Good coordination begins with good coordinates.” So let’s make sure we have accurate data. 4 Comments on "BLM’s new GNSS protocols may set undesirable precedent"
Thanks for writing about this issue. All of the challenges you point out are true, although in my own experience they are not really much worse in Alaska than in the Lower 48 states. One problem that is much bigger in many parts of Alaska is that the CORS network is very sparse compared to most of the country, and I think that is a bigger challenge in practice than the ionospheric or other disturbances. There is another problem with the DPPS approach that you don’t mention at all. Alaska is tectonically active so the coordinates of any point on the ground are always changing, and in places are changing at rates of centimeters per year (and in some places, not changing linearly with time). Models do exist to address this (the NGS’ HTDP model, for example), but models always have some error and are subject to periodic updates that may change the coordinate correction. Without strict procedures to account for coordinate changes the adoption of DPPS is an invitation to disputes and lawsuits, because equally precise and accurate surveys done a few years or decades apart would give sufficiently different coordinates for the same point on the ground. As a landowner, I would want to physically see and touch my corner monuments or at the very least be able to utilize monuments for trilateration &/or triangulation to prove/reestablish my corners. You can call me ‘old fashioned/hands on’ rather than ‘blindly trusting’. 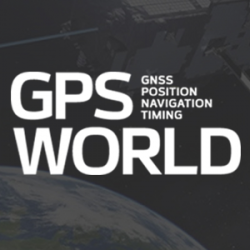 Have you actually done any GNSS work in Alaska? There are generally more GNSS satellites available in arctic regions than the mid-latitudes. The only issue is they aren’t as high in the sky meaning vertical accuracy suffers compared to the mid-latitudes, but as for horizontal accuracy it actually tends to be better. Yes ionospheric disturbance can be a bit more difficult to deal with at high latitudes, but GNSS equipment has improved greatly in this regard. It’s not 1990 anymore. Today’s hardware and modern GNSS signals are much more robust during geomagnetic storm activity than what existed a quarter century ago. I see no problem with determining corners based on GNSS measurements if there are redundant measurements. In fact it will be far more efficient than traditional methods and more accurate. While Jeffery Freymueller has a point about much of Alaska being tectonically active when are a couple of centimeters of uncertainty going to really matter? Traditional methods aren’t nearly that good. Any real coordinate system has an X, Y, Z, AND T (time). Surveyors tend to be a conservative bunch. What great grandpa did was the right way to do it. Well if great grandpa had access to modern GNSS equipment he would have tossed his chain in the garbage. Modern GNSS is by far the most efficient and precise way to go about things now. Twenty five years from now there may be a better way. In 2040 someone will be bemoaning the death of GNSS corner determination. Thanks for the comments to the article and providing additional perspective on the topic. No, I haven’t surveyed in Alaska (but willing to give it a try…) and relied heavily on several contemporaries that have as well as technical information provided to NSPS during our DPPS discussions. I agree that by providing reliable data through redundant measurement and proper documentation, coordinate values will become more acceptable as evidence in original and retracement surveys. I also agree that most of the surveying profession is extremely conservative but mostly falls on the “elder statesmen” who are still practicing. The problem with coordinates as corners is twofold as well; the public who sees the physical corner and the mapping agencies who hold a published coordinate as the gospel and dismissing the metadata. Once surveyors get out in front of both of these issues, the methods employed by DPPS can become the norm. I began my surveying career before GNSS so I do fully appreciate what the technology has done for the profession. You are right about new unknown methods are waiting out there to be discovered and I for one hope to still be around to see it and embrace it just as we have with GNSS. Thanks again for chiming in; I appreciate your additional information and perspective. One cannot learn unless discussions are not made, so your view is helpful to my ongoing education of the topic.